What do you intend to do in 2011? Have you thought of some New Year resolutions? Made some promises to yourself? I have made my own promises and made a list of what I want to accomplish in 2011. Most of these are just personal goals but one of them is to give even more value to my subscribers this year and to help as many of you as possible to start your own profitable business for as little as possible. If you are serious about starting your own business then what I have for you this year will certainly help! Let’s start by what may be holding you back. One of the problems may be not knowing how or where to start. The first thing that most of us would do is to search online for information I have just googled Make Money and there was 424,000,000 results returned, overwhelming to say the least. Buy this and retire in 20 Mins. Not fast enough for me! New loophole in Google make millions!! Really. 15 year old Myra Binglebatt shows you how to buy your own car, house and island working only 3 minutes a day only 14 spots left. I hope I’m not too late. Ok I exaggerate (only slightly) but not by much but the common thread through all this is you stump up your hard earned cash in the hope of emulating young Myra. Maybe buy a bigger island, a faster car and a more expensive mansion. If you can do all this in just 2 minutes a day all the better. We have all been stung by this type of hype, even me. I once bought a “Millionaire” system complete with product, website and everything you need to get it up and running online. So easy a child could do it. Well I couldn’t, the licence gave the minimum price the product could be sold at and I thought it represented very poor value at that price. It came with ad copy intended for direct mailing that did not relate directly to the product it mentioned items that were not part of the product for sale. Some of the bonus disks were unreadable no information on how to upload or edit the website and worst of all no reply to my support e-mails until this guy wanted to sell me something else!! Oh and by the way this cost me $850 of my hard earned. This is exactly what gets Internet selling a bad name and tars everyone with the same brush. Believe it or not there are some businesses that you can start on a shoestring and this year I am going to help as many people as possible by providing as many free or inexpensive ways as possible to get you started as soon as possible. Here are just 3 ideas to get you up and running today, yes today. Start an eBay business, if you already have an eBay account why not sell the unwanted presents you have received and grab yourself some capital you can reinvest to make more. 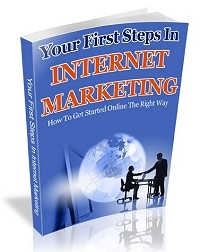 Want to know more about eBay first then grab my free eBay guide HERE. Use Amazon to sell, most people will only ever think of eBay but Amazon Market place is a vibrant selling platform and has the advantage that there is no bidding, you set the price and Amazon set the postage costs. You will often find that some items will command a much higher price on Amazon. Sell you books on Amazon, simply insert the ISBN number to see the possible resale value of your books. Now your Dan Brown will only be worth a few cents each but academic, instructional and technical books have a much higher resale value and will be worth far more. De-clutter your home and see what else you can find to sell. Want more information on how to do this? Then download my Amazon video series for FREE HERE. Finally something to think about, can you find poorly listed books on eBay that you can resell on Amazon? Bet you can, or grab some new stock for just a few dollars at garage sales or charity shops. None of this will make you a fortune but there are sizable businesses that can be built from these modest beginnings. More soon Rob….